Brockley, SE4 is within the London Borough of Lewisham, South London. 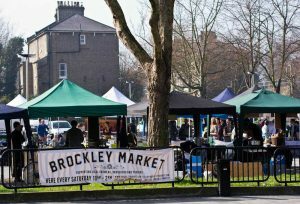 Brockley’s name derives from the name “Broc” which is the name used for a Badger in Old English. Brockley was a small hamlet which was rebuilt in 1895 and is well known for the Victorian Public house which is now the home of the Brockley Jack Theatre. Brockley is well connected with Crofton Park train station and the South Circular. At Lanes, we appreciate that each pupil is different and lessons are adjusted to suit. Intensive driving courses are Lanes’ specialty. Theory lessons are also offered, either as a separate course or as a component of a practical course. Lanes have been providing driving lessons in Brockley, London SE4 for many years. Please call us today on 020 8166 5678or click here to send us an email via the contact page. Lanes have a team of driving instructors in Brockley, London. SE4. Please call us today on 020 8166 5678 or click here to send us an email via the contact page. Lanes have a selection of female driving instructors in Brockley, SE4, London. Please call us today on 020 8166 5678 or click here to send us an email via the contact page. Lanes have a selection of automatic driving instructors in Brockley, London, SE4. Please call us today on 020 8166 5678 or click here to send us an email via the contact page.